Harsh freezes in SE USA after the fruit trees bloom. Nature is neither stupid nor cruel. But humans can be both foolish and greedy. Could it be the weather is rigged to benefit those who deal in the “futures” market? A futures market is an auction market in which participants buy and sell commodity and futures contracts for delivery on a specified future date. Man has known how to manipulate the weather for decades now. The military has a goal to control the weather completely by 2025. Read Weather as a Force Multiplier:Owning the Weather in 2025, an Air Force document. What are those planes dropping in those huge plumes that spread out against the blue sky, making it white and hazy all day? Who funds this costly operation? Some call the discharge chemtrails or the activity geoengineering. It’s a nasty business, but somebody has to do it so that investors can bet on “futures” and make a killing on the stock market… and perhaps literally a killing, to wreck crops and reduce the food supply to reduce the population to their “ideal” 500 million mentioned on the Georgia Guidestones. Who controls the food supply controls the people; who controls the energy can control whole continents; who controls the money can control the world. The aerial spraying began on Aug. 28. 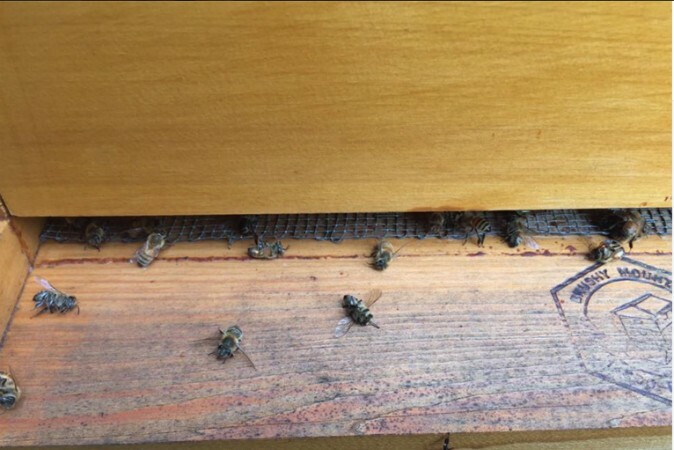 County officials usually opt for truck spraying, but the recent spread of Zika prompted officials to use a new method—one that was detrimental to local beekeepers. “All of my equipment is contaminated, my honey is contaminated, my cone is contaminated, I’m totally shut down here,” Juanita Stanley told Live 5 News.